Place your cards in the center of the play area, allowing enough space for the deck, which will be the draw pile, as well as room beside it for the discard pile. In solo play, each player has their own play area, but in team play, the play area is shared for each team. 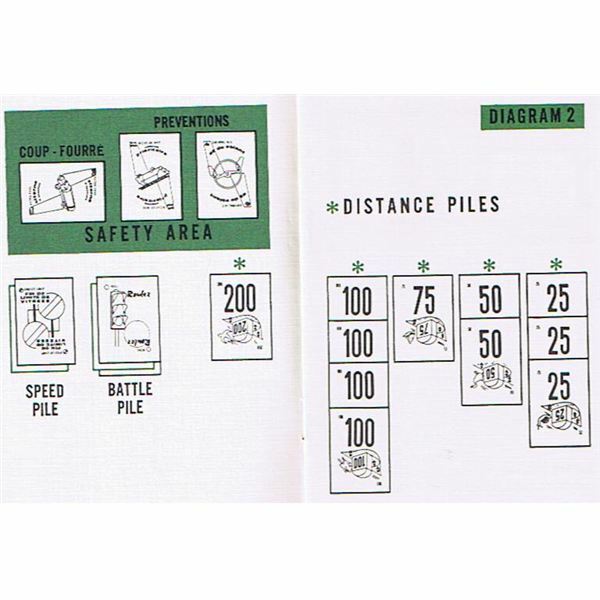 The play area is made up of four sections, which are clearly identified in the image to the left taken from the 1962 Mille Bornes instructions: Notice a safety area, a speed pile, a battle pile, and distance piles. Safety Area: Place Safety Cards into the safety area. 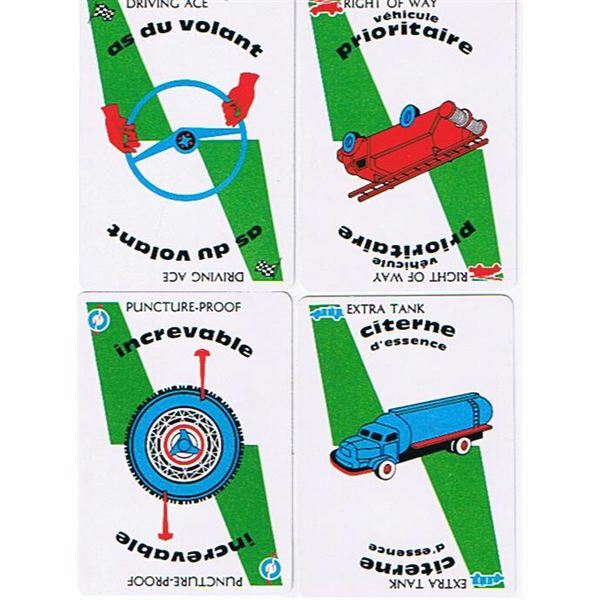 There are four safety cards in Mille Bornes, and each prevents a different road-related disaster from befalling you on your journey to 1000 miles. Speed Pile: Speed limits and end of speed limit cards are placed in the speed pile. Battle Pile: You have to admire a car racing card game that has a "Battle Pile." Green lights (roll cards), red lights, hazards and remedy cards are played onto the battle pile of the player or team they effect. Distance Piles: The journey of a thousand miles begins in your distance pile. Each time you are able to play distance cards, place them in a distance pile in your play area. 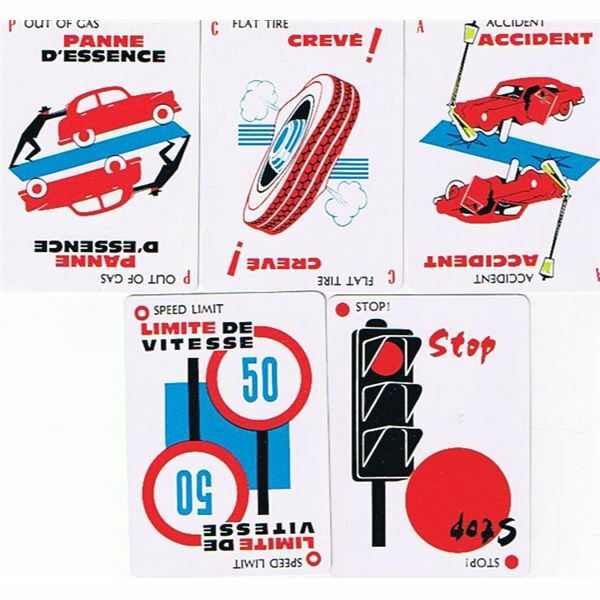 Distance Cards: The object of Mille Bornes is to travel a distance of 1000 miles by playing distance cards. Distance cards can only be played when you have a "Roll Card" (green light) active in your battle pile. You can play distance cards of 25, 50, 75, 100, or 200 miles. If a "Speed Limit" card has been played on your speed pile, you cannot exceed 50 miles per hour until the speed limit has been ended with an "End of Limit" card, or you have the "Right of Way" card in your "Safety Area." your opponents battle piles to prevent them from playing Distance Cards until the hazard is dealt with by the corresponding remedy card. Hazards can only be used while a car has a green light. Stopped cars, or cars already effected by hazards cannot have further hazards happen to them. The only exception to this rule is the Speed Limit Card, which can be played whether your opponent is moving or not. There are five types of hazards: Out of Gas, Flat Tires, Accidents, Speed Limits, and Red Lights. 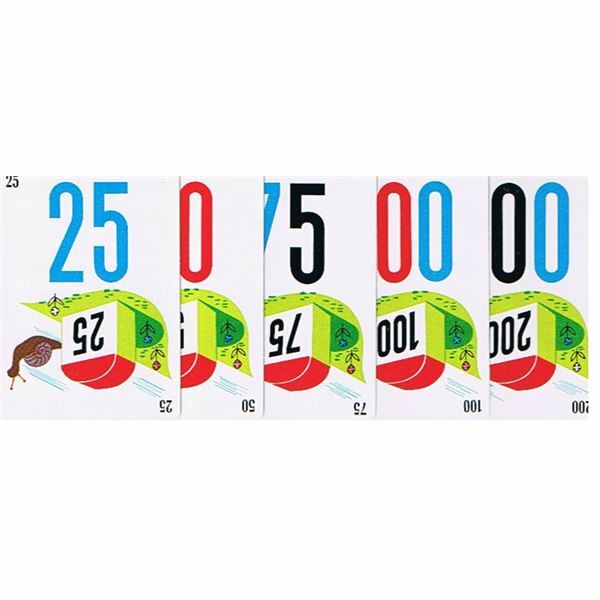 All of the Hazard cards are played onto your opponents' battle piles, with the exception of the "Speed Limit" card, which is played onto the speed pile. Remedies: There is a remedy card corresponding to each hazard card in Mille Bornes. In order to get your car moving again, you must first respond to any hazards that are directly related to your car. 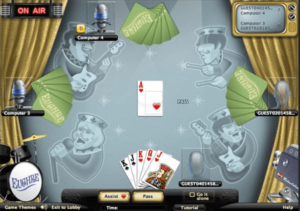 If you are out of gas, have a flat tire, or got in an accident, you must play the corresponding remedy and play another green light before you can play any more distance cards. 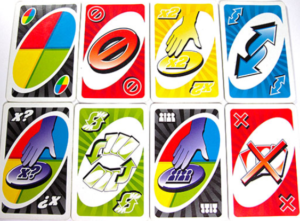 Red lights only require a green light as a remedy before further distance cards may be played. End of Limit cards are played on the speed pile to end speed limits, but they may only be played if your speed has been limited. Safety Cards: There are four safety cards that can be played to permanently protect against future hazards, while also recovering from current hazards. Additionally, whenever you play a safety card, draw another card and take another turn. Puncture proof tires will repair a present flat tire while protecting against any additional flat tires. Extra Tank restores an empty tank and makes your car unable to run out of gas. Driving Ace makes you immune to accidents and ends an accident attack in the battle pile. Right of Way makes your car immune to speed limits and stops signs and end either hazard if currently in play on your board. 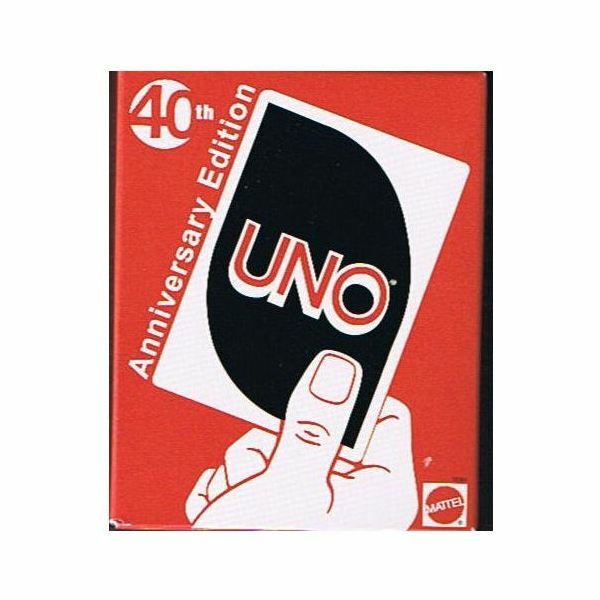 The Mille Bornes Card Game is usually played with four players divided into two teams of two. Have the players sit across from one another at the table. The dealer shuffles the cards and deals six cards to each player, with hand size should always remaining at six at the end of a turn. 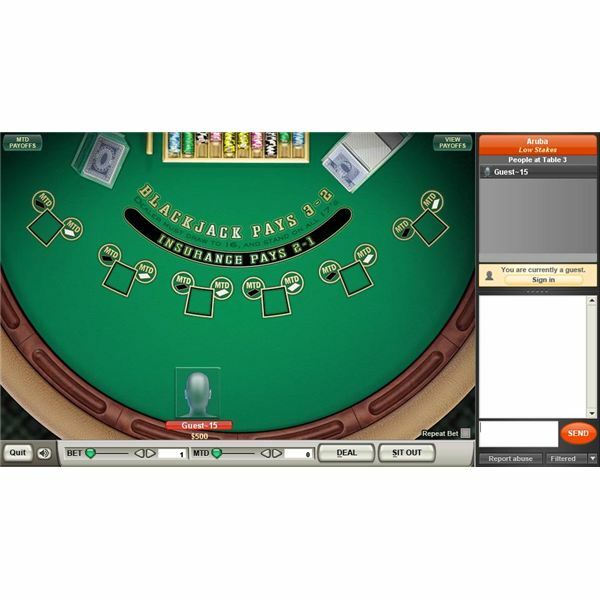 Play starts by the player left of the dealer drawing one card, and then playing or discarding a card from his hand. Player one may play a Roll Card, a Safety Card, a Speed Limit Card, or he must discard. Play continues in this manner around the board. 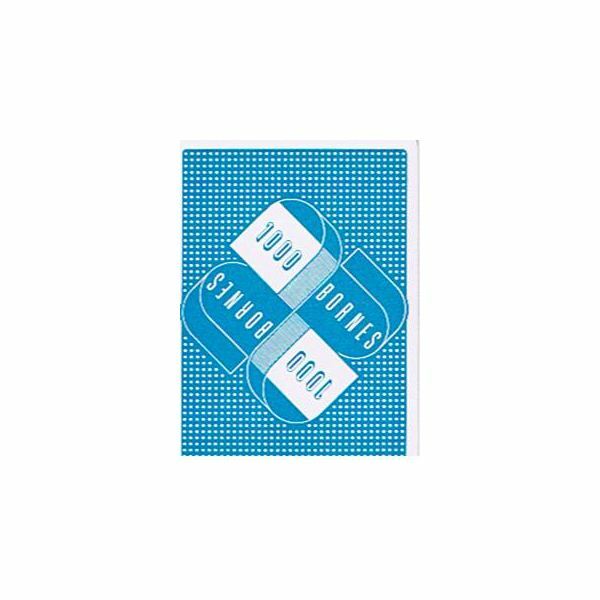 Hazard cards can be played once Roll cards are active, and remedies can be played to solve any hazards that have befallen your car. Four Player Mille Bornes is a team game, so you and your partner share the playing area. If your partner played a Roll Card, you may play distance cards on your turn without having to play your own separate Roll Card. Likewise, you may play remedies to fix any car trouble that the team car has encountered. Rounds end when a player reaches exactly 1000 miles. Player may not play over 1000 miles. So if you have traveled 950 miles, you cannot end the round by playing a 100 mile card. Instead, you would have to wait for one 50 mile card, or two 25 mile cards in order to end the round. Coup Fourré: Prounounced coo-foo-ray, this special rule is a french term for counter-thrusting your opponent in a fencing match. 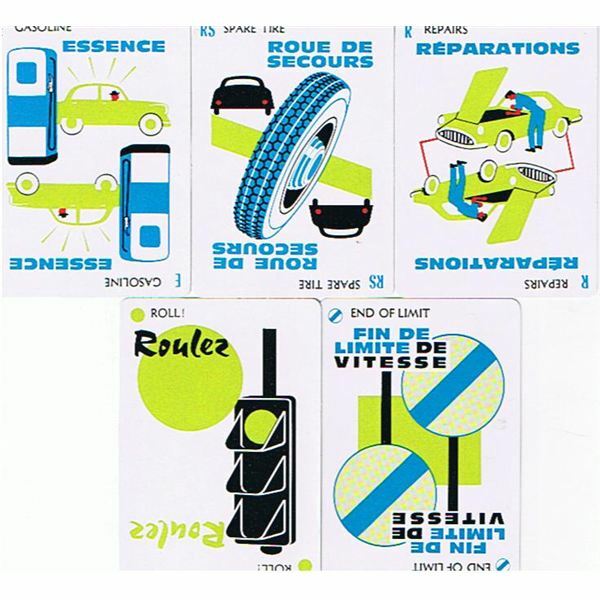 In Mille Bornes, Coup Fourré is the special ability that allows you to play a safety card in response to an opponent playing a related hazard card. For instance, if you were holding the Puncture-Proof Tire safety card and your opponent plays a Flat Tire card onto your battle pile, you may immediately say "Coup Fourré" and play the safety card. The hazard would be placed into the discard pile, and your safety card would be placed horizontally in the safety zone, indicating it had been played as a Coup Fourré. Additionally, since you now only have five cards in your hand, you draw to six, and then begin a new turn, skipping any players who might have been before you prior to the Coup Fourré. When your additional turn is over, play resumes to your left. When a round ends, scoring begins. Each team scores as 1 point for every mile traveled. Each safety card played earns 100 points. If a single team played all four safety cards, they earn a 300 point bonus. Each Coup Fourré earns 300 bonus points. The team to complete a trip of exactly 1000 miles (700 miles in a two or three player game) earns a 400 point bonus. If all cards have been played from the draw pile when the 1000 mile trip is completed, the team earns an additional 300 point bonus. A "Safe Trip" bonus of 300 points is earned if a team travels 1000 miles without playing any 200 mile cards. If a team travels 1000 miles before the other team plays any distance cards, they earn a 500 point bonus. A winner is declared when a team scores 5000 points. If both teams break 5000 points in the same round, the win goes to the team with the highest number of points. While it is unstated in the rules, in the rare instance of both teams breaking 5000 points and having the same score, play an additional round to break the tie. Milles Bornes Rules for two or three Players: Two or three player games are played without teams in head-to-head or free-for-all car combat. The rules are the same as discussed throughout the article, except one Red Light, one Accident, one Out of Gas, one Flat Tire, and one Speed Limit must be removed from the deck. The trip is shortened from 1000 miles to 700 miles, and there is an additional rule–the Extension. The player who first reaches the 700 mile mark may choose to call for an extension. If they extend the game, the players continue to 1000 miles or until all players have no cards left. The player to complete the 1000 miles earns the 400 point bonus for the 1000 mile trip, even if it was not the person who called the extension. Additionally, the person who completes the 1000 miles gains a 200 point extension bonus, even if it wasn't the player who called the extension. All other scoring is the same as a four player game. 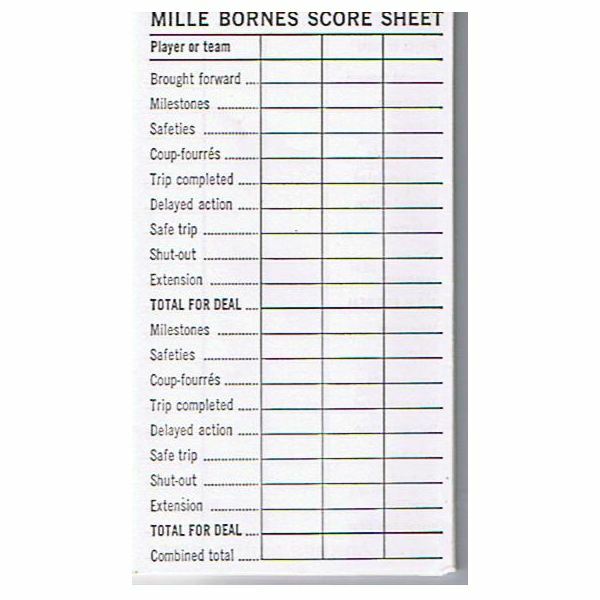 Milles Bornes Rules for six Players: A six player game is played exactly the same as a four player game, with the exception of the seating and the number of teams. There are three teams instead of two, and the teams along the side of the table sit diagonal from each other, with the third team having one player at the head of the table and the other player at the foot of the table.